On this longest day of the year- the lemon juice is on tap, the tomatoes are flavoursome, the shallots are sweet, and the lettuces are crisp. That spells SALSA to me! What goes with salsa? What doesn't go with salsa? The result are these mini lazy taco bites. The 'lazy' bit sounded like the best description, because I just popped all the salsa ingredients in the blender and whizzed them into a sauce instead. Hee hee. - First and preferably at least 4 hours before, put all the sliced mushrooms into a bowl and stir in tamari and lemon juice, then set aside to marinate. 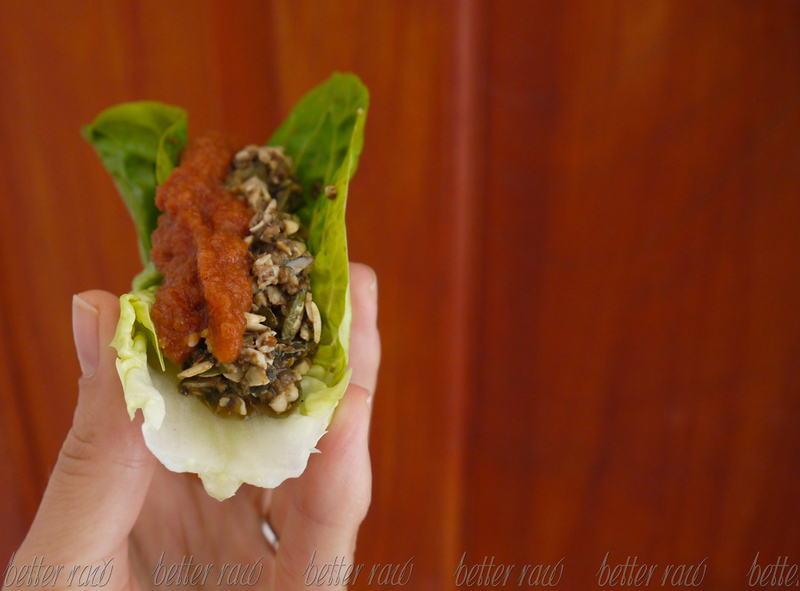 At the same time put the pumpkin seeds, walnuts and sundried tomatoes (note there that both the taco meat and the salsa require sundried tomatoes) into separate bowls, cover with pure water and leave them soaking. - After 4-8 hours you can transfer all the taco meat ingredients into a food processor and process until desired consistency. 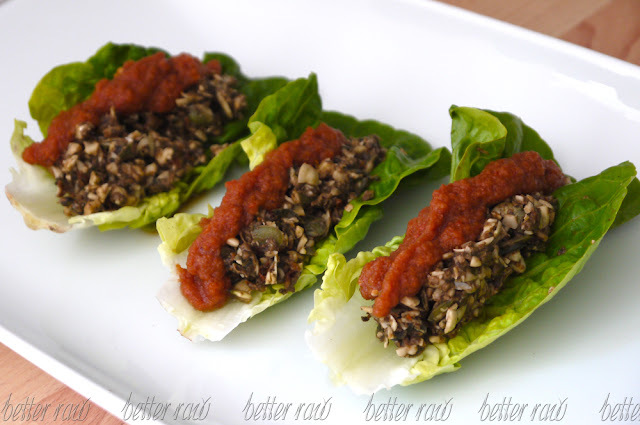 - Transfer the salsa ingredients into a blender along with some of the water which the sundried tomatoes have been soaking in, and blend to a sauce. 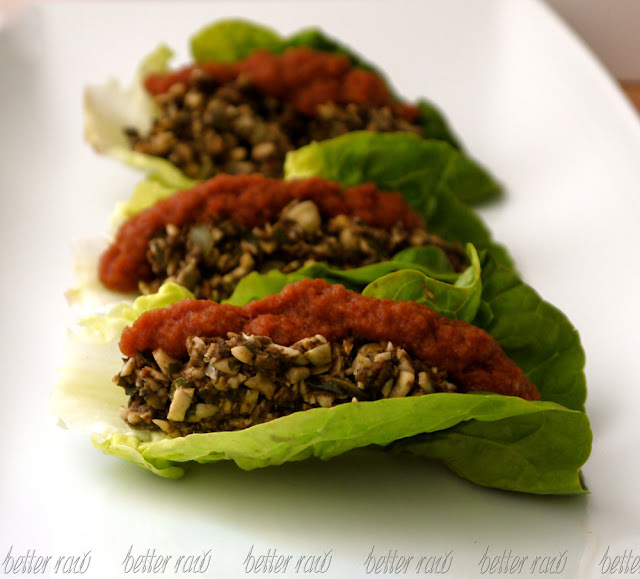 - Peel the leaves off of the gem lettuce, load them with taco meat and spoon some salsa sauce over the top. It's ready to eat! The tacos are never quite complete with a little guacamole however, so for the lazy version- just pop a slice of avocado on top of the taco and dig in!